Traditional silver accessories are one of China’s representative folk arts. They derive from people’s daily life. 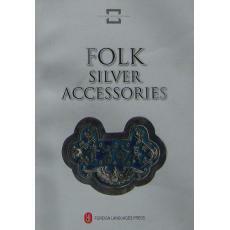 The handcrafted silver accessories included in this book all have a strong folk flavor. Certain forms of expressive craftsmanship, such as partial tones and connotations, are incorporated in the designs to be interpreted as good wishes for happiness and fortune. These skills display the essence of traditional Chinese arts in a simple way. This book collects some 200 pictures of folk silver accessories, categorized by type, each picture complete with a descriptive caption.